The hashtag is a trademark social media sign which often accompanies tweets or Facebook messages in order to draw together a global conversation on a common topic. #WORSHIP is a brand new series which brings together current and contemporary songs of worship written by some of the finest writers in the world today. 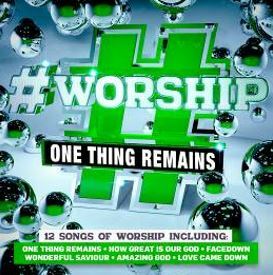 #Worship - One Thing Remains CD by Various Artists was published by Essential Christian in October 2015 and is our 11348th best seller. The ISBN for #Worship - One Thing Remains CD is ELE2091D. Be the first to review #Worship - One Thing Remains CD! Got a question? No problem! Just click here to ask us about #Worship - One Thing Remains CD. Now Playing: He is Risen Your browser does not support the audio element.